It has been shown in numerous animal experiments that VO2 is kept stable over a wide range of DO2 by extraction of oxygen according to the metabolic needs of the body. In this situation VO2 does not depend on DO2. This so called "oxygen-supply independence" is interpreted as evidence of tissue wellness and adequate tissue oxygenation5. In the resting subject, DO2 is approximately twice the VO2 value to preserve DO2-independent oxidative metabolism (normal range of DO2: 500-650 mL min-1 m-2). 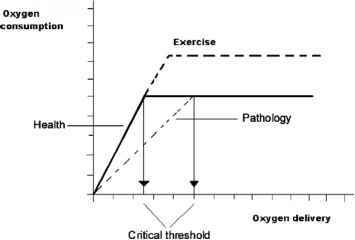 With impaired oxygen supply below a critical threshold as it occurs in pathological conditions, oxygen consumption cannot be kept stable and declines proportionally to delivery which leads to a condition where VO2 depends on DO2. 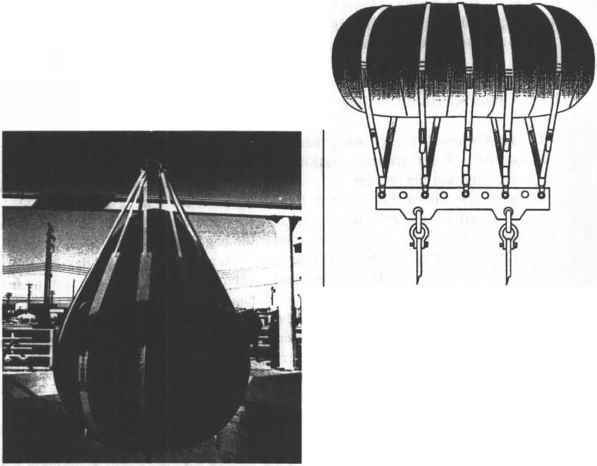 This oxygen-supply dependence indicates evidence of tissue dysoxia demonstrated in different mammals, in the whole body6'7 and in various organ systems such as skeletal muscle8, the gut9 and the liver10. Assumptions of the VO2-DO2 model include that VO2 demand is constant at all DO2 values and that DO2 is equal for all physiologic conditions. Thus, variable muscular VO2 demand raises problems with strict application of this model. To a certain extent, a physiological oxygen-supply dependence is found in the exercising subject.